The Berkeley Group and Family Therapy Institute specializes in group therapy, couples therapy, family therapy and therapy groups for therapists. Founded by Bill Roller and Vivian Nelson. The Berkeley Group and Family Therapy Institute was co-created by Bill Roller and Vivian Nelson, who have been leaders in group and family therapy for over four decades. Bill is the current leader for all the Institute's groups & workshops. 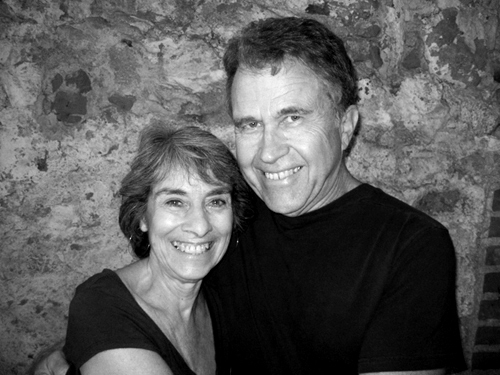 In addition to their clinical practice, Bill and Vivian direct the Berkeley Group Education Foundation, a nonprofit organization that serves the public interest and the common good by creating seminars and professional trainings, and producing educational videos for a wide range of audiences. Most recently, the Berkeley Group Education Foundation has produced and sponsored national and international Symposia at clinical conferences and law schools in order to address the ethical issues that arise for both clinicians and lawyers as they confront and condemn the practice of torture as a policy of the state. Most recently, Bill has interviewed Daniel Ellsberg about his reflections on being a former thermonuclear war planner and the dire consequences of current United States thermonuclear war strategy. Watch the interview here. Vivian Nelson is a former member of the Board of Directors of the International Human Learning Resources Network, established in 1969 by family therapy founder, Virginia Satir. Together with her co-therapist, Bill Roller, Vivian has published the Art of Co-therapy: How Therapists Work Together (Guilford Publications), a chapter in Kaplan & Sadock's Comprehensive Group Psychotherapy (Williams and Wilkens) and produced the six hour video companion to his text, The Promise of Group Therapy (Jossey- Bass). They have presented for professional audiences internationally, most recently in Buenos Aires, Barcelona, London, Sao Paulo, New York City, and Matsue, Japan. They were featured speakers at the 2010 Annual Conference of the Mid-Atlantic Group Psychotherapy Society in Richmond, Virginia. Vivian retired as a clinician in 2016, yet she remains active on the board of directors of the Berkeley Group Therapy Education Foundation which she founded with Bill Roller. Bill Roller is founder and president of the Berkeley Group Therapy Education Foundation, a non-profit organization dedicated to the education of the public in the purpose and value of group therapy and the development of comprehensive programs and materials for the training of group psychotherapy professionals. He is a Fellow of the American Group Psychotherapy Association, Chairman of the Ethics Committee of the Board of Directors of the International Association for Group Psychotherapy and Group Processes (2006-2012), and past Co-Chairman of the Group Therapy Symposium, Department of Psychiatry, University of California School of Medicine, San Francisco. He is author of more than 40 publications, including books, scientific articles, book chapters, videotapes, and a biography of Paul Shilder- a pioneer in group analysis and mentor to S.H. Foulkes. Licensed marriage and family therapist #14245.